David has been a Linux systems admin for around 14 years, and generally in different roles - development, network admin, support, DBA, and more. He is a Fedora user and a fan of puppet (not so much the hat - nor Bert & Ernie, however). As time allows, he contributes to the EPEL packages for Openstack. He has an interest in infosec, and so is generally paranoid about security. 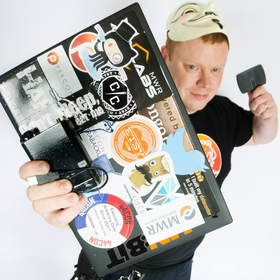 He is also familiar with metasploit, sqlmap, john, oclHashCat, and has also written a few python tools.